Before I chat up all things Avengers…I just have to say a big THANK YOU for those who turned up at the book signing yesterday at Changing Hands. And THANK YOU to Changing Hands! What a great event. Earlier this week, I shared with you how cancer has touched my life yet again (CLICK HERE) for the post. Well, that whole process has been overwhelming and saddening. So, at the request of my sweet hubby, he said we should go see Avengers to kind of escape everything, relax for a while, and just…”be”. Not only was AVENGERS totally awesome like I’d been hearing, it really revived me by providing a great escape. I just love that about books and movies. That’s probably why I gravitate toward the paranormal and fantasy type books/movies! I loved the constant action in this movie. 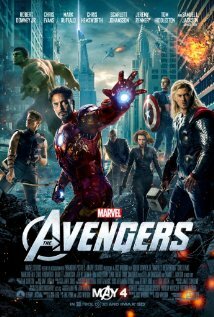 The special effects were amazing and boy, the characters had some depth!! Joss Wheden is the BOMB. I seriously saw his humor in this. Great stuff. Hey, Joss, if any of my books ever become movies, want to come write my screenplays? This entry was posted in Uncategorized and tagged Avengers, CancerSucks, Chris Evans, Chris Hemsworth, Lynn Rush, Mark Ruffalo, Movies, New Adult, Paranormal, Robert Downy Jr, Scarlett Johansson by Lynn Rush. Bookmark the permalink. Told you it rocked! Glad you got out for some mindless entertainment. And Whedon is a genius. I’ve still not seen the movie and the bad part is not even sure when I will get the chance to.